The sun shined on play all day today. 10 pairs enjoyed 11 rounds of 10/10 golf croquet. 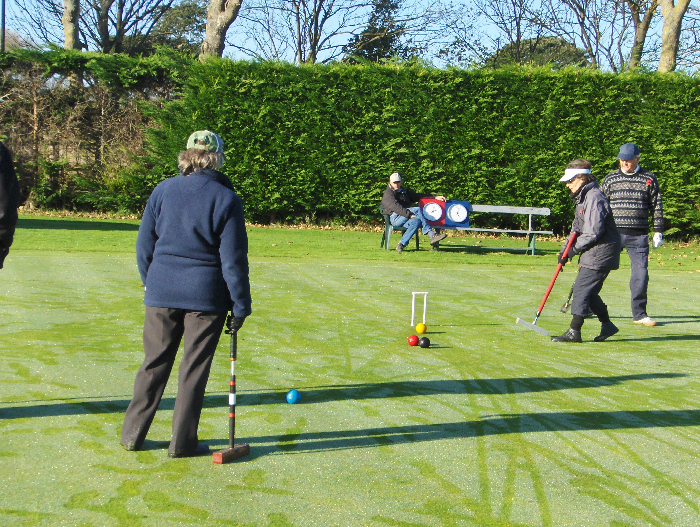 We welcomed a number of quite new players of the game and it was good to see them taking part in competitive croquet. 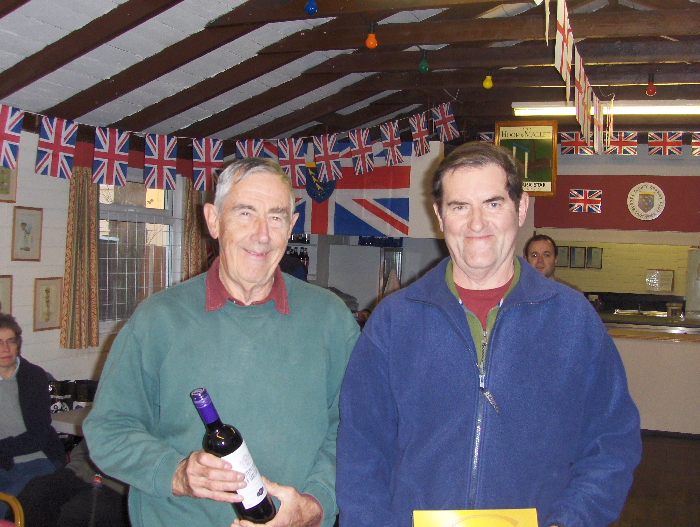 The event was won by Paul Castell and Richard Brooks who were unbeaten in the Round Robin formet. Stella Russell and Alan Theobald were runners up. Our thanks to Maggie and Keith Webb for providing the clocks even when they were unable to play themselves.